In June 2007, when Apple’s first iPhone was sold, cell phones were already a big market. But by 2009, Apple ended up with 30 percent of it. How did Jobs convince AT&T to give Apple a groundbreaking deal in exchange for the exclusive right to service the iPhone in the U.S.? When he worked at telecommunications consulting firm, Adventis, Raj Aggarwal met with Jobs twice a week for several months. Aggarwal, whose Adventis consulting stint with Jobs occurred in “early 2005,” said that Jobs was able to pull off the AT&T deal because of his personal involvement in the details of the iPhone, his efforts to build relationships with carriers, his willingness to make demands that others perceived as outrageous, and his nerve to bet major resources on that vision. Here is how you can apply Jobs’ three strategies to your start-up. 1. Dig into the key details. A great entrepreneur has to balance the urge to dive into all the details to ensure the start-up runs perfectly and the need to delegate work to the people she hires. But there are times when you have to dig into the details – especially when your start-up’s future depends on getting them right. Aggarwal pointed out that Jobs was different than other CEOs who delegate strategy implementation. “Jobs met with the CEOs of each carrier. I was struck by the hands-on nature and his desire to make his mark on everything the company was doing. He got deeply involved in the details he cared about. He made it happen,” said Aggarwal. 2. Bet bold on your vision. If you are the kind of entrepreneur with a vision of your start-up’s future, you will not get very far unless you can convince others to share that vision. If you’ve done your best to explain the vision to your people and business partners and they still don’t get it, you may have to take a bold step to convince them how important the vision is to your start-up’s future. 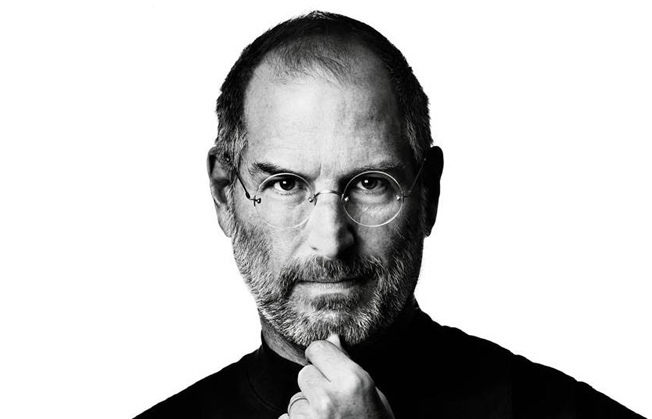 Aggarwal was impressed by the way Jobs was willing to take a risk to realize his vision. “In one meeting in the conference room with Jobs, he was annoyed that AT&T was spending too much time worrying about the risks of the deal. So he said, ‘You know what we should do to stop them from complaining? We should write AT&T a check for $1 billion and if the deal doesn’t work out, they can keep the money. Let’s give them the $1 billion [Apple had $5 billion in cash at the time] and shut them the hell up,’” Aggarwal recounted. Although Jobs did not actually offer AT&T the cash, his willingness to do so made an impression on Mr. Aggarwal. 3. Make and fight for outrageous demands. If you have a reputation for transforming industries, you can get away with making bold demands and getting people to meet them. This may help explain why Jobs was able to get so much out of the AT&T deal. On the other hand, rather than being a result of his success, maybe it was Jobs’ outrageous demands and his willingness to fight for them that caused him to succeed. You may not be the next Steve Jobs, but you can be a better entrepreneur by learning from these three strategies.